Albion Gas offer a wide range of Gas Cylinders for all your caravan related needs. Due to limitations on the ferry you're restricted by the quantity of gas cylinders you can bring on to the island. Because of this, Albion Gas offer a full range of different types and sizes of cylinders. Gas cylinders can be used for a variety of uses from cooking, heating BBQ's and stoves, so it's essential you stay well stocked up. Cylinders can be collected from our depot in Brodick, a walking distance from the ferry terminal. We offer a click and collect service where you buy your cylinder online and collect when you arrive on the island, saving you from worrying about payment on collection. Albion Gas offer a large range of cylinders including the more specialised cylinders such as 10KG & 5KG Gaslight Cylinders, a verity of different sized Propane and Butane Cylinders and a full stock of Camping Gaz. We offer a wide range of gas cylinders to fit all your camping needs. From Gas heaters to Gas BBQ’s, we have you covered. 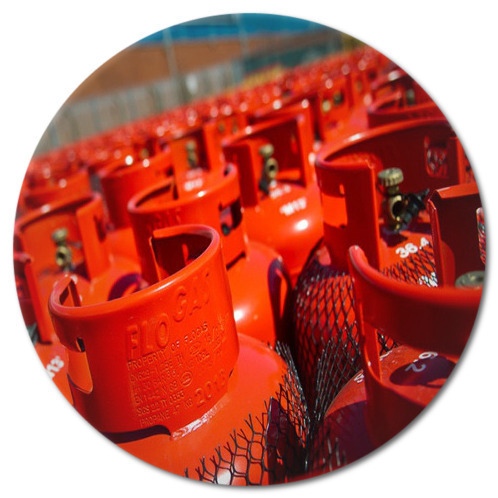 With our full range of gas cylinders we offer the practicality of LPG without the unnecessary weight. Cylinders can be collected from our depot in brodick, a 2 minute walk from the ferry terminal with large stocks of cylinders on hand all year round. Buy your cylinder online, specify what boat you're arriving on and we'll make sure your cylinder is ready for collection. Our 907 Camping Gaz, 10KG Gaslight Propane Cylinders and 5KG Propane Cylinders offer the maximum volume of gas without the hinderance of weight.